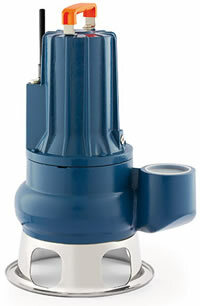 The vortex type impeller fitted to VXC pumps are suitable for handling dirty water, sewage, effluent water, water mixed with mud, liquids containing air or gas as well as treated and putrid mud. VXC pumps are particularly suited for installation in sewers, excavation sites, wells, channels, underground car-parks etc. 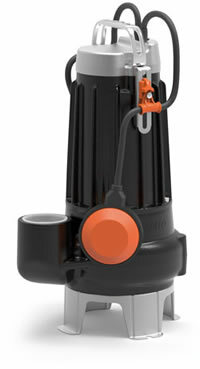 Manufactured entirely in extremely thick cast iron, these pumps are particularly sturdy, abrasion- resistant and built to last. A sump with minimum dimensions 800 x 800 x 800mm is required for fixed installations. Sealed induction MOTOR: with double impregnated class F winding (ensuring extended motor life and wide range of use), designed for continuous duty, even with the pump partially submerged (min. 420mm) A thermal cutout device (motor protector) is incorporated in single phase models.